Wine of Bordeaux, France. Cuvée excellence.Château Rampeau is a family property created in the 1930's, located in the heart of Entre-Deux-Mers, a region that's referred to as the pioneer of the Bordeaux Sauvignon. 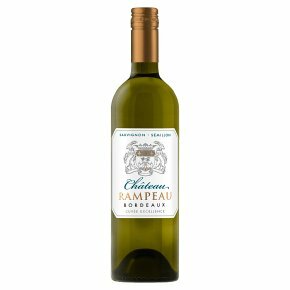 Produced from Sauvignon blanc and Sémillon grapes, this wine reveals a complex nose with citrus aromas, a bright and lemony palate. Serve around 10°C, it will partner well with salads, seafood or grilled fish.